Innovative fold up travel water bowl, base opens to use as water bowl as shown. 0.5L capacity water bottle with optional storage clip. 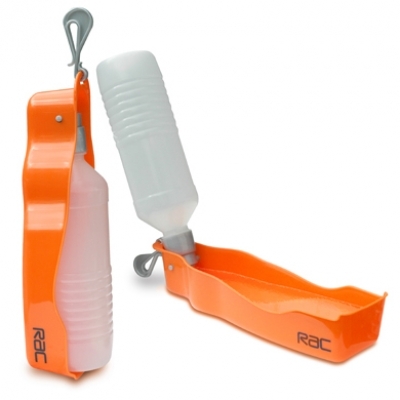 There are currently no questions for RAC Travel Water Bottle - be the first to ask one!